Is Brazil starting to lose the battle against deforestation? In the past 10 years Brazil has reduced its greenhouse gas (GHG) emissions levels more than any other country through a historic effort to decrease deforestation. The deforestation rate dropped by 71% between 2004 and 2015. But, while Brazil’s downward trend in deforestation has been impressive, this is now threatened by the weakening of conservation policies and by a recent increase in deforestation. Moreover, the social impacts of deforestation reduction in the past years are still uncertain. How did Brazil slow deforestation so effectively? There are several reasons for the successful decrease in deforestation rates. First, Brazil has a sophisticated monitoring system that compiles high-resolution images of forest cover in the Amazon biome. Over the past 10 years, it has been providing real-time information to Brazil’s environmental enforcement agency, the Brazilian Institute of Environment and Renewable Natural Resources (IBAMA). Since 2004 IBAMA has been improving its enforcement strategies (e.g. confiscating material resources) and bringing other government agencies on board. This increased the effects of command and control measures on the ground at the same time that the national Plan for Prevention and Control Deforestation in the Amazon (PPCDAm) emerged as a key policy to reduce deforestation. PPCDAm integrated action across different government institutions and introduced novel procedures for monitoring, environmental control and territorial management. Second, between 2002 and 2010 the federal government designated several protected areas in the Amazon and recognized many indigenous territories. And in 2007–8, new policy measures targeted priority municipalities with critical rates of deforestation (the so-called ‘federal blacklist’) and restricted rural credit to those who could provide proof of compliance with environmental regulations. Finally, a series of demand-side measures started to play a key role in the process of reducing deforestation. Multi-stakeholder roundtable groups put together industry with non-governmental organizations, retailers and producers to increase the dialogue on how to better produce the commodities that drive deforestation. Zero-deforestation agreements or trade embargos in which an industry, retailer or producer agrees to not buy a commodity from illegally deforested lands have had several positive impacts. Although this is a successful mix of measures that culminated with large reductions in deforestation rates in the Amazon, most of the impacts come largely from a more rigorous environmental monitoring and law enforcement. Or, in other words, increasing command and control measures. IBAMA has been monitoring priority municipalities more closely and dedicating a larger share of its resources to them. Licensing and georeferencing requirements for rural lands (mainly through the implementation of the rural environmental cadastre – CAR) are harsher and, in an effort to identify fraudulent documents and illegal occupations, private land titles were revised. Why are deforestation levels raising again? The registration of over 1 million square kilometres of the Brazilian Amazon for mining. Persistent concerns have also been raised about the potential negative impacts of command and control on local livelihoods and socioeconomic welfare of smallholders in the Amazon. The fact that command and control measures are effective only for smallholders, who fear being punished and cannot hire lawyers to challenge or disrupt administrative proceedings, was the main reason for the Forest Code amnesty. Assunção et al. (2015) also show how centralized measures that treat the Brazilian Amazon as a largely uniform target can create spillover and heterogeneous effects (i.e. adaptions in the behaviour of individuals who lead deforestation on the ground). Furthermore, in some cases it has also increased migration to less monitored areas, which may cause leakage. The recent increase in deforestation levels is a clear sign of the possible shortcomings and problems of interventions based on prohibitions and punishments when applied to situations that are complex, non-linear, full of heterogeneities and difficult to understand – such as deforestation trends in the Brazilian Amazon. Land use change is still the main cause of GHG emissions in Brazil. It is difficult to imagine how much of the remaining ‘residual’ deforestation can be curbed through increased command and control, especially considering the recent opening of the Brazilian beef market to the US and China. Meanwhile, Brazil is facing one of the most intense El Niños in recent decades – it has already exacerbated fires during the dry season all over the Amazon. With this increase in deforestation levels, the country calls into question decades of conservation efforts and the commitments assumed under the Paris Agreement, which should enter into force this month. In June 2016 the Amazon Fund, the main initiative for financing sustainable forest management in the Amazon biome, organized the first workshop to promote the exchange of experiences for sustainable chains between the different initiatives being supported by the fund. The event was attended by about 120 people, including public actors and NGOs, project beneficiaries, representatives of the fund and the Brazilian Development Bank (BNDES), as well as technical consultants from the German Cooperation for Sustainable Development. Participants were divided in different groups to share lessons learned and debate successful solutions. The workshop started by honouring the forest and its ancestors while Uiban from the HuniKuin indigenous group, in the state of Acre, was singing. Juliana Santiago, head of the fund, then opened the first session emphasizing the importance of sustainable chains for reducing deforestation. “From the 81 initiatives currently supported by the fund, 44 include the development of sustainable productive activities, totalling BRL 300 million (USD 92 million) in support of various supply chains”, she added. These investments resulted in 13,651 people trained for sustainable productive activities, 265 small organizations supported, 3,759 rural properties in sustainable production projects, 4,922 rural properties benefiting from technical assistance and rural extension, 6,923 hectares of reforested areas, plus BRL 50 million (USD 15 million) of additional income from the sale of fresh products and BRL 12 million (USD 4 million) of revenue from the sale of processed products. Gabriel Visconti, head of the BNDES environmental area, pointed out the different reasons why the fund has been successful: the strong partnership with the Ministry of Environment; the institutional arrangement of the fund; but mainly the engagement of different actors (from donors to managers and local organizations) in an effective collaborative governance. Economic activities: How to preserve the forest? Participants debated the challenges of activities that promote sustainable production in the Amazon from the perspective of producers, public and private actors. For Luis Fernando Fonseca, from the Kaeté Investments, the main challenges are related to issues of logistics, infrastructure and transportation. “Although there was a progress in such initiatives, scaling up them remains a challenge”, he pointed out. According to Juliana Simões, from the Brazilian secretariat of extrativism and sustainable rural development, logistics, transportation and infrastructure are challenges related to inter-sectoral policies. In her view it is time to better integrate public policies and to increase dialogue between different ministries. It is also important to add value to products that increase social and biodiversity positive outcomes. “There is a lack of information and understanding from the demand side about the potential of these products”, she emphasized. Land tenure regularization, less bureaucracy for accessing financial resources, respecting diversity and increasing capacity of monitoring agents are crucial pieces for successful economic activities on the ground. Sérgio Lopes, from the Association of Smallholder Agroforestry Producers, affirmed that “without land titles it becomes impossible to guarantee long term sustainable activities”. It is also important to shape initiatives according to local heterogeneities and diversity, “there are many different realities on the ground”, he said. Increasing capacity of monitoring agents, so they are able to recognize different species and better monitor who is practicing activities that promote environmental degradation is also fundamental. “There is still a lot of burden and bureaucracy for the ones who work with sustainable activities”, Lopes concluded. Structuring supply chains: What works? Different representatives of civil society debated how to better structure supply chains. Empowering local organizations with dialogue, communication and transparency is the first step. For Rodrigo Junqueira, from the Socio-Environmental Institute, working with old partnerships increases the chances of successful outcomes. Technology innovation also plays a key role in changing old production patterns, in creating sustainable solutions and in engaging the youth. Together with technical assistance and capacity building they promote better practices and positive outcomes in the long term. Having a hybrid basket of products for local productive arrangements and adding value to them is also important to reduce investments risks. Native seeds, for example, should get more attention in the process, once they are crucial for forest restoration but also for increasing local income. Negotiating tax exemptions with state agencies could support certain supply chains. The group also pointed out that governmental organizations often are unaware of the reality of farmers and traditional peoples. In addition to public policies it is also important to increase the dialogue with local actors in order to promote openness and the ability to generate collective learning. Paulo Cezar Nunes, from the Cooperative for Farmers in the Vale do Amanhecer, emphasised the cooperative integrated governance that supports women, agrarian settlers and indigenous in a way that privileges trust and complementarities of different actors and organizations. The cooperative is a good example of how production diversification can lead to economic sustainability, while partnerships with local governments can strengthen the institutional market. Ana Patricia Gomes, from the Institute of Agricultural and Forest Management and Certification, presented the newly created initiative Origins Brazil, which functions as a collaborative platform connecting producers to buyers and consumers. Through QR Code technology, demand-side actors can access through their mobiles the information on communities and supply areas. This helps consumer to better choose their products and adds value to items that promote socio-environmental goals. In this group, innovative strategies to deal with the challenges of the Amazon reality were debated by organizations working with large territories in the area. Alexandre Olival, from Ouro Verde Institute, shared lessons from the Sementes do Portal initiative where local and regional committees work together to stimulate local ownership and dissemination of different technologies. Communication and conflict management form a solid basis for successful outcomes. Strengthening of local organizations is at the heart of The Nature Conservancy strategies with indigenous lands in the Amazon, according to Fernando Bittencourt. “Capacity building for enhancing indigenous autonomy is key in this process”, he added. Increasing capacity and supporting local households for environmental and social entrepreneurships are strategies also implemented by the Amazonas Sustainable Foundation. According to Eduardo Taveira, systematizing and disseminating the content, methodologies, lessons learned and innovative solutions could lead to better practices. The participation of local actors in all stages of initiatives implementation should be central and investments in communication and transparency can not be neglected. Monitoring results from time to time and capturing local perceptions on the strategies being implemented is vital for guaranteeing effectiveness. Technical assistance that include the youth is also key for fostering long term results. According to the group, reconciling land use planning with sustainable productive alternatives helps to promote sustainability. Finally, constant communication with the Amazon Fund team helps avoiding problems of management and accountability and also exposes the difficulties of the initiatives in the Amazon region. The event closed with Juliana Santiago on messages about how structuring the chains of sociobiodiversity products is fundamental in the process of building an environmentally sustainable economy in the Amazon. She pointed out how important financial resources from Amazon Fund are in this process, but without local organization it seems utopic to reach successful outcomes. There are also still a number of challenges to overcome, but one of the main needs “is to accelerate cultural change aimed at valuing social biodiversity products and at promoting the development of technical and regulatory frameworks compatible with the specificities of these supply chains”, she concluded. Seven years after it was created, in 2008, the Amazon Fund is now the best example of a national results-based payment mechanism. A high-level panel discussed the main lessons and challenges of the fund during the Global Landscapes Forum in Paris in a session entitled “Amazon Fund – from results-based payments to the experiences on the ground”. Juliana Santiago, head of the Fund, opened the session emphasizing that new development models are needed for the Amazon. But “development does not take place unless is achieved by the country itself”, she said highlighting the role country ownership plays in creating innovative approaches for integrating forest conservation and development. Juliana also pointed out that one of the main challenges of the fund was to determine how resources would reach the ground. “We need partner organizations with solid experience in working with local communities”, she said. “With their support, financial resources are more likely to reach local entrepreneurs”. All the panellists stressed the crucial role of local participation in developing new models for sustainable rural economic development. It was clear from the session that local land users need to be at the heart of decision-making and planning. But participation needs to go beyond solely providing information; it needs to be democratic and interactive. The costs of implementing such processes, however, are high. “Its simpler to be said than to be done”, emphasized Virgilio Viana, director of Sustainable Amazonas Foundation (FAS). As crucial as it is, active and frequent participation is many times challenged by logistics and high costs as most of the communities that benefit from the fund live far away in the forest. “Trust is very important in this process”, said Virgilio. Adriana Ramos, director of the Policy and Law Program of the Socio-Environmental Institute (ISA), on the other hand, affirmed that “to find this new model of development we better learn from who is already doing it”. Indigenous people, she pointed out, “have a large repertory of forest management techniques and practices that help conserve tropical forests”. This transition process would require, though, to go beyond indigenous people participation and allow social learning methods that would lead to innovation and creative solutions. “If we want to find this model we need to be open to new solutions and take risks”, she said. “It is a huge mistake to think that indigenous people live in the past”, she completed. When asked what can be done to increase financing from private sources – given that so far the vast majority of financial support comes from public rather than private sources – Virgilio explained the recent phenomenon that foreign philanthropy is leaving Brazil because of the current economic crisis in the country and Brazilian philanthropy is not yet moving in at the same rate and at the scale required. “Opportunities to attract private investment would be around the biodiversity of the Amazon in particular for two industries, the pharmaceutical and the cosmetics sectors. Currently we don’t have private investments at the scale yet needed to ensure that forests are worth standing more than cut down”, he completed. Paying for results, but how to measure and who owns the carbon? Attribution of results to the fund payments is still challenging to measure. “How much did it cost to reduce deforestation in the Amazon by 80%, who paid for it and what was the role for the Amazon Fund?” – asked one of the participants in the session. The panellists jointly elaborated that the costs, in terms of financial resources, might not be known. But it certainly took a great deal of political will and a joint effort between the federal level, states, civil society and private sector to integrate policies and render them effective. Amy Duchelle, scientist at the Center for International Forestry Research (CIFOR), highlighted some early positive livelihood and land use outcomes at sites supported by the Amazon Fund and included in CIFOR’s long-term Global Comparative Study on REDD+. She also emphasized the challenges of cross-scale coordination in monitoring and evaluation, and stressed the importance of “engaging farmers and communities in monitoring efforts as local data is really key to understand the effectiveness of any intervention”. “Who owns the carbon in the Amazon?”- another interesting question raised in the session – was definitely the most controversy point. Answers ranged from “God”, to “if in the indigenous territories the indigenous peoples”, to “its complicated.” Virgilio added: “the holder of carbon rights could be those who own the land or those who do the job, or a combination of both”. For instance, the Brazilian federal government is still regulating legal aspects of REDD+. The state governments have been fighting for getting a slice of the “carbon cake” (which can be worked out through a so called nested approach) but this is currently still rather theoretical and not yet transformed into policies. Some important lessons can be gleaned from the first years of fund implementation. Of critical importance is land use planning, along with scientific and technological development to build lasting capacity and increase knowledge. Challenges arise from the landscape approach on how to better link the practical aspects of implementation on the ground with national and global decision-making processes. The question of how rural economic development can also translate into forest protection is still a central challenge too. Osvaldo Stella, director of the Amazon Environmental Research Institute (IPAM), emphasized the importance of creating a “land sharing model with the inclusion of settlers that enables diverse land uses to take place, linking technical assistance to economic incentives and disincentives such as regulating access to rural credits”. He also highlighted the need to create a regional approach that caters for larger changes. For this, according to him, “we need a better integration of public policies and to think along larger value chains in order to reach scale”. Final messages stressed the importance of connecting the local with the international level. Adriana pointed out that “it is very easy to discuss climate change in Paris – where we can’t really feel it” – affirming that if we were in the Amazon we would reach results easily. Amy completed saying that “we need to value what is happening on the ground, take the lessons learned there and apply them to higher level decision making”. On 28 September 2015, Brazil issued its Intended Nationally Determined Contribution (INDC), committing to decrease its greenhouse gas (GHG) emissions by 37% below 2005 levels in 2025 and by 43% by 2030. This may sound very ambitious for a developing country that is no longer “taking off” in terms of economic growth, as the Economist reported two years ago. A deeper look into Brazil’s targets is crucial to understanding how the country, since Dilma Roussef became president, is playing the spoiler, not the leader, when it comes to climate change. Brazil is Latin America’s largest emitter of GHG emissions and the seventh biggest emitter in the world. In 2009, still under President Lula’s administration, the country established a national voluntary GHG reduction target, largely based on reducing deforestation rates. The federal government then developed a suite of sector-specific mitigation actions that it estimated would result in a reduction of 36.1% to 38.9% below a projected hypothetical baseline in 2020. Although framed as voluntary at the international level, this pledge is enshrined in Brazil’s National Policy for Climate Change, which mandates the development of sectoral plans to implement specific mitigation actions. On top of that, Brazil’s emissions from deforestation have declined considerably in the last decade, largely due to policies and measures established since 2004. In practice, deforestation reduction was based on increasing monitoring and command and control. Because of the voluntary commitments assumed in 2009 and this sharp reduction on deforestation levels, over the past decade Brazil has gained recognition from the international community for its role as leader in mitigating climate change. It also allowed Brazil to benefit from “readiness” and performance based funding for REDD+, such as the Norwegian Initiative for Climate and Forests. Brazil is no longer governed by its president Dilma Roussef – who is becoming an increasingly tragic figure with each day that passes and is risking an impeachment due to several corruption scandals. The current administration is focused on models of development that represent national values of financial capital accumulation that just increases wealth of national and forming elites in the country, such as infrastructure companies and large landholders. Although forest emissions have reduced, emissions from agriculture and energy have increased. Emissions from agriculture and energy now both exceed forest emissions. But public debates in Brazil do not link the on-going droughts and floods across the country to climate change. Moreover, the economic and ethical crisis that has dominated Brazil this year resulted in an 80% cut of the Ministry of Environment annual budget and in the climate change issue falling off the agenda. Eduardo Cunha, the President of Brazil’s Chamber of Deputies, is currently under investigation by the federal police, as part of the so-called “Operation Carwash” – a huge money laundering and corruption scheme involving the Brazilian Oil Company Petrobras and politicians. The Chamber of Deputies has been working with a strong focus on the ability of well-qualified entrepreneurs. These actors have the capital needed for large-scale investments but there is a growing consensus about their environmental incompatibility, social limitations and economic risks. As a consequence, Dilma’s first mandate (2010-14) was marked by the most backward in social and environmental issues since the end of military dictatorship. The softening of the forest legislation, with the approval of the new Forest Law – that includes an amnesty for landowners that have previously deforested – and the regulation of constitutional rights through Complementary Law 140 – which accelerates the environmental licensing process – are among the worst cases. Another important setback is that under Dilma’s presidency no new protected areas have been created. In fact, Brazil has seen the unprecedented reduction of several protected areas in the Amazon, contrary to the Federal Constitution and Brazil’s international commitments. There are also significant deadlocks concerning the allocation of public land use rights to traditional peoples and communities. This is linked to the National Congress efforts to deconstruct indigenous peoples’ right to exclusive use of their lands in order to authorise the implementation of mining and dam projects. The preamble to the INDC on Brazil’s commitments to human rights and minorities is therefore – as we say in Brazil – “para inglês ver”, an expression Brazilians developed back in the slavery time for dealing with British expectations (despite all their expertise and as smart as they might think they were, the British could still be fooled by the “Brazilian way” of doing things). President Dilma Rousseff’s administration is doing a poor job on safeguarding forests, on protecting the rights of indigenous peoples and traditional communities, on allowing cash flows to subnational governments and on ensuring transparency and accountability in REDD+ rules. Nevertheless, the country managed to submit its Forest Reference Emission Level in 2014 – the first of its kind submitted to the UNFCCC – and its summary of information explaining how the Cancun safeguards will be addressed. These processes, however, did not include any participation from civil society, which was also excluded from the formulation of Brazil’s INDC. It appears that they were produced just to fulfil UNFCCC requirements. Brazil’s climate commitments – good or bad? Despite the current political and environmental context in Brazil outlined above, some observersbelieve that the country’s commitments are an improvement, because the targets are now an absolute reduction pledges of Brazilian emissions. This is indeed an improvement over the relative reduction in previous commitments, especially in a post 2012 context. However, there are a number of factors that show the pressure for increasing emissions, such as the recent opening of the United States and Chinese markets to Brazilian beef, as well as uncertainties in terms of economic expansion. I would argue that Brazil’s INDC purely reflects the current government’s expertise: reshaping actions that are already in place into climate discourse at international level. To make matters worse, in most cases these actions are compulsory under national legislation. The word “ambitious” is the wrong adjective to describe Brazil’s target. Specifically, it raises the question of how additional the proposed targets are, since they are based on measures that are already being implemented and, more importantly, in conflict with development initiatives under way in the country. In practice, as already argued by other political scientists in the field, as the current emission levels are around 40% lower than they were in 2005, Brazil is committing only to residual reductions over the next 15 years. Brazil is pledging to emit up to 1.30 Gt of CO2 equivalent in 2025 and up to 1.16 Gt in 2030. In 2012, the year with the lowest rate of deforestation, Brazil was emitting 1.20 Gt. The country is proposing to stabilize emissions in the coming years only slightly below the level it was in 2012 (less than 10%). Deforestation increased in 2013 and is likely to continuing increasing. Moreover, applying the 37% and 43% reductions announced in Brazil’s Second National Communication implies absolute emissions of 1.44 Gt for 2025 and of 1.30 Gt for 2030, which do not correspond to the absolute targets announced. To reach the target, Brazil is supposed to increase the share of renewable sources in the Brazilian energy matrix by 45% (less than the average of the past decade). This involves (as already predicted in Brazil’s ten-year energy’s plan) large hydropower dams that destroy Amazonian rivers and forests displacing several traditional populations. It also includes nuclear power plants with all its inherent risks. The forest sector most clearly highlights how unambitious Brazil’s targets are. In its INDC, Brazil pledges to restore and reforest 12 million hectares (Mha) of forests for multiple purposes and aims to reach zero illegal deforestation by 2030. The restoration pledge is notably lower than the target already set out in Brazil’s new forest legislation, which mandates a restoration of 21 Mha of natural vegetation by 2036. This target is a reduction of 58% of the previous legislation’s target for restoring degraded areas. Moreover, there is a huge difference between restoration and reforestation and each of them should have gained pledges and more specific details about their implementation. The “multiple purposes” of reforestation calls for great caution. “Reforestation” could mean establishing industrial tree plantations. Even more caution is required since Brazil recently authorised the commercial use of genetically engineered eucalyptus. The zero illegal deforestation goal is actually a step back from the country’s previous commitmentsthat envisaged reaching zero-illegal deforestation by 2015. On 7 October 2015, Greenpeace Brasil and other civil society organisations – including indigenous peoples – delivered to Congress a petition with 1.4 million signatures (collected over the past three years) in support of a popular bill initiative to stop deforestation across the country. This process looks like deja vu, since eight years ago (also with Greenpeace’s support) a zero deforestation pact was launched by multiple non-governmental organisations in Congress. Carbon Brief points out that the target in Brazil’s INDC effectively means accepting illegal deforestation for the next 15 years. In any case, the current proposition has little chance of becoming a law, given the actual configuration of the Congress, which is dominated by large landholders, and the political influence and interests of the Chamber of Deputies presidency. Brazilians call the Chamber of Deputies the “house of Cunha”, after its President. Moreover, Brazil seems to assume that the end of illegal deforestation in the Amazon and the implementation of the offset market of environmental reserve quotas (CRA) are going to be enough to drastically reduce the country’s total emissions from the land sector. But some analysis of these policies shows otherwise. Depending on pending regulatory choices, the offset market could be flooded with 14 Mha of low-cost titles from private lands inside already protected areas and 38 Mha from Legal Reserves of small properties that are already protected by the Forest Code, meaning that no additional forests are saved. This allows farmers with forest debt to purchase cheap offsets while others can legally clear their own land. Finally, Dilma’s cabinet modifications this year truly reflect her agenda priorities, with Katia Abreu – nicknamed the “chainsaw queen” – as minister of agriculture and Aldo Rebelo – the main author of the Forest Code changes, known as a climate skeptic – as minister of science, technology and innovation. According to the World Resources Institute, 71% of the energy investments planned for the 2014-2023 decade have been allocated to fossil fuels, demonstrating a persistent dependence on carbon intensive activities. Brazil also committed to expand the share of non-hydropower renewables in the total energy mix to 28-33% and to obtain a 10% efficiency gains in the sector. As reported by the Energy International Agency, in 2012 the hydropower sector covered 87% of renewable electricity net generation. The hydropower sector in Brazil, however, is anything but sustainable. The country has never seen such a great displacement of financial and natural resources and people (mainly indigenous) as in the construction of the Belo Monte hydropower dam, for example. While the global cutting edge energy technology is based on quantum physics and a semiconductor revolution, Brazil – a country with vast potential for solar and wind energy – continues to insist on old school sources of renewable energy. In other words, when it comes to renewable energy it looks like Brazil is still in the Stone Age. Brazil’s INDC explicitly re-affirms the federal government’s negative position in relation to the possible use of any market mechanisms that may be established under the Paris agreement. Reflecting on the role of the Brazilian private sector on reducing emissions, the INDC shows that collaboration between countries and different sectors nationally are not likely. Due to the current economic crisis it seems wildly optimistic to expect that the private sector will engage in climate related investments without any further incentive. Collaborative governance between countries and different sectors nationally, on the other hand, is instrumental for tackling climate change. When it comes to adaptation, Brazil’s contribution highlights that the social dimension should be at the core of the country’s strategy for adaptation, bearing in mind the need to protect vulnerable populations from the negative effects of climate change. The situation is already serious. The Civil Defense reports that more than 24% of Brazil’s municipalities (1,400 of them) have declared a state of emergency or disaster this year due to climate events. On top of that, the National Adaptation Plan lost its main subsidy in March 2015 when the coordination of the largest study ever done in the country – “Brazil 2040” – was shelved during in its final elaboration phase. The study was aimed to be the basis for public policy adaptation in the energy, infrastructure, agriculture and water resources. Nearly a dozen research groups in the country were working on it. The analysis, if not interrupted, was suppose to be ready in April 2015, and would have brought bad news on the climate change impacts of the expansion of Brazil’s hydropower sector. The cancellation of the study is illustrative of the decrease in the importance of climate change in the federal government agenda, precisely at a time when this agenda is high on the ladder of political leadership priorities worldwide. It also puts the lie to the claim that the government gives particular attention to the poorest populations. In fact these populations are constantly being displaced and their capacity to contribute to local development have been mostly disregarded by environmental and social initiatives, especially when it comes to the Amazon. Particularly egregious are the high levels ofillegal slavery (or bonded labour) across the country that are directed linked to the production of the main commodities that drive the countries’ economy. International support: Needed or not? Brazil states in its INDC that targets are not contingent upon international support, but most of the government arguments for lack of innovative action concerning mitigation and adaptation are based on a lack of financial and human capacity. The contribution has a specific concern related to the implementation of REDD+ activities and the need for international support for the permanence of their results. But in practice it is hard to argue that Brazil is being paid for its REDD+ performance on reducing deforestation levels. This is because the country has been going back and forth in terms of linking its REDD+ actions to results in reducing deforestation. It is extremely challenging, not to say impossible, to attribute deforestation emissions reductions to REDD+ payments, even with a high-level monitoring system in place. The Amazonian state governments, for example, recently expressed their disappointment in aletter in which they complain about the lack of recognition of their role in helping to reduce around 4.2 billion tons of CO2 emissions over the last decade. On the positive and hopeful side of Brazil’s national contribution is the strengthening of the Low Carbon Emission Agriculture Plan (ABC) as the main strategy for sustainable agriculture development. According to the INDC this includes the restoration of an additional 15 million hectares of degraded pasturelands and enhancement of five million hectares of integrated cropland-livestock-forestry systems by 2030. Integrating cropland-livestock-forestry systems is essential in order to meet the increasing demand for commodities without deforesting. The word additional suggests that this is in addition to the targets in ABC of restoring 15 million hectares of degraded pastures. This could potentially lead to mitigation of around 55 MtCO2e per year. ABC investments, however, are paralyzed due to the current economic crisis. BOGOR, Indonesia—When Brazilian researcher Maria Fernanda Gebara thinks of her first visit to the Amazon municipality São Félix do Xingu in 2010, the first thing she remembers is the smoke. “My eyes were burning all the time working there,” she said. The smoke came from fires lit by farmers, burning the rainforest to convert it to pastureland. “All I could smell was the fires, and the dust, because it was the dry season—it really was a no-man’s land where you could do anything you wanted,” Gebara said. REDD+ means reducing carbon emissions from deforestation and forest degradation, a UN-backed idea for mitigating climate change that emerged in 2007 and has since been experimented with in pilot initiatives across the tropics. 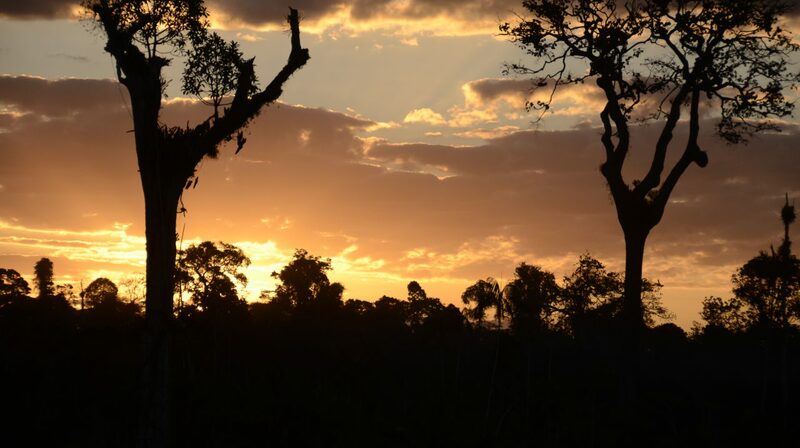 Gebara was in São Félix do Xingu as part of a Center for International Forestry Research (CIFOR) team that has analyzed and compared 22 such initiatives in Latin America, Africa and Asia—and published those findings in a new book. “REDD+ on the Ground” editor William Sunderlin of CIFOR will share results from the book at an official COP20 side event in Lima, 5 December. Click here for details. For information on CIFOR side events at the COP, go to cifor.org/cifor-at-cop20. Follow the COP20 and the Global Landscapes Forum at blog.cifor.org/lima. And in 2010, São Félix do Xingu—an enormous, country-sized municipality in Brazil’s Para state—was the front line of global deforestation. From 2001, it recorded some of the worst deforestation in the Amazon, and in 2008 was added to the Brazilian government’s ‘black list’ of the 43 municipalities with the highest deforestation rates—meaning, among other things, farmers in the jurisdiction were blocked from accessing credit for cattle ranching and related activities. It’s this program that Gebara went to São Félix do Xingu to investigate (read her chapter here). The initiative aims to involve different local actors to create a politically and economically favorable scenario for reducing deforestation. TNC chose São Félix do Xingu “because it is kind of like a microcosm of the Amazon,” Gebara said. “You can find the different realities of land ownership, land uses, and actors—smallholders, family-run farms, large ranchers, indigenous lands, mining—so it’s very interesting to think about solutions in this sort of vast landscape,” she said. And TNC uses a “landscape approach,” involving this diverse array of actors in the program. To do this, the initiative needed to adopt a mix of different strategies and incentives to encourage deforestation reduction, such as land-use zoning, technical assistance and sustainable production alternatives for smallholders; financing and management for indigenous areas; and assistance with enforcement of environmental laws. TNC also played a key role as semi-neutral broker between the different interest groups in the landscape, Gebara said. “They helped to create a sense of everybody needing to work together to change the situation, to remove the municipality from the blacklist, to be out of the embargo and to achieve the deforestation rates that the Ministry of Environment required,” she said. One of the early strategies TNC focused on, Gebara said, was to clarify land tenure—a persistent issue for REDD+ initiatives from Peru to Indonesia, as not only does unclear tenure increase people’s feeling of insecurity, but who owns the forest needs to be clear if those owners are going to receive benefits for keeping it standing—or sanctions for cutting it down. With the new Forest Law (12.651/2012), Brazil made it mandatory for all rural properties to be mapped and registered through a government system known as CAR (Cadastro Ambiental Rural)—the first step towards clarifying tenure. One of the conditions for municipalities to make it off the deforestation blacklist is for at least 80 percent of private properties to be registered. TNC provided financial technical support to make this happen in São Félix do Xingu—and more than 80 percent are now signed up to the CAR. Their success, though, had unintended consequences: Although deforestation in the municipality as a whole has fallen, it actually went up in the areas that had been registered. Why? Because once property owners sign up to CAR, they can access the government agriculture and cattle subsidies they were blocked from receiving because of the blacklist—and this gave them the money they needed to start clearing more forest for pasture, Gebara says. This is an important lesson, she says: Proponents in Brazil need to combine CAR registration with other incentives. TNC is starting to do this, Gebara says, educating people on other kinds of government credits they can access instead if they move away from deforestation, such as the federal Low Carbon Agriculture (ABC) Program. The TNC program in São Félix do Xingu, as many REDD+ pilot initiatives, suffered from the global uncertainty in the past few years about the future of REDD+ and the lack of a global agreement on climate change that includes deforestation. And it was the poorest small farmers in the municipality that suffered the worst impact, Gebara says. By 2013, implementation of the program’s initiatives was delayed because the carbon funding TNC had anticipated still hadn’t materialized, due to global uncertainty about REDD+. “I think the international delay was really critical in this case because donors, implementers and proponents were waiting to see what would happen, and this delay was really bad on the ground,” she said. While smallholders had reduced deforestation mainly because of the federal embargo, many told Gebara in 2013 that they felt they were getting nothing in return. “They were worried about what would happen. Some were already complaining they were at risk of starving because they didn’t grow enough food for that season, and others were already leaving for other municipalities where they could cut enough forest to graze their cattle or plant crops,” she said. Larger landholders had more ability to adapt, but life is precarious for the poorest subsistence farmer, Gebara said. “It is increasing social inequality. Because they are stopping cutting down trees—which is good, as smallholders are an important driver of deforestation in this municipality—but it’s bad in terms of social impact,” she said. One community member told Gebara the command-and-control and monitoring strategies like the embargo and the land registration program “stop the smoke but do not solve the problem”—meaning that without viable alternatives for smallholders, deforestation reductions are likely to be only short term. TNC are implementing more interventions this year—but Gebara says the whole process needs to happen faster if smallholders are going to be convinced of the benefits. “People on the ground need to see that things are happening. Despite all the information TNC provided, smallholders need to see the alternatives that REDD+ is supposed to create,” she said. The TNC initiative in São Félix do Xingu no longer calls itself a REDD+ project. “In Brazil and across lots of the initiatives, the proponents have been very concerned about managing expectations in relation to REDD+,” she said. “There’s been concern about commodification, and the idea it would attract ‘carbon cowboys’ and people who wanted to grab forest resources in order to profit from carbon credits—and that led them to think that the REDD+ label was creating more controversy than helping them,” she said. In the process, Maria Fernanda Gebara says, the São Félix do Xingu program shows how REDD+ is losing some of the elements that made it originally such a novelty—such as its narrow focus on climate change mitigation and evidence-based funding. So is it still REDD+? And is it working? “It depends on how you see REDD+. I don’t really see REDD+ as a market–based approach, just about payments for environmental services. For me, REDD+ is about changing institutions, building coalitions, as TNC has been trying to do,” she said. Whether it works, she says, depends on how quickly it moves ahead to “Phase 2” —implementation of measures on the ground. For more information about the topics of this research, please contact Maria Fernanda Gebara atmfgebara@gmail.com or William Sunderlin at w.sunderlin@cgiar.org. CIFOR’s Global Comparative Study on REDD is supported by the Norwegian Agency for Development Cooperation (Norad), the Australian Department of Foreign Affairs and Trade (DFAT), the European Union (EU), the United Kingdom, and the CGIAR Research Program on Forests Trees and Agroforestry, with financial support from the CGIAR Fund.